I’ve reached 100 followers on Tumblr, so I decided a followers gift was in order… and I thought of something that I made for myself ages ago but have never shared: Custom Collection Icons! There are 75 assorted Icons, including medieval and fantasy ones, as well as more general ones. The are made from icons and images from TS2, TS3 and TSM. 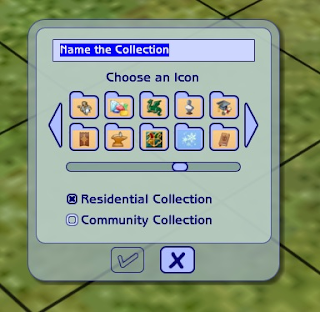 To use these, put them in My Documents -> EA Games -> The Sims 2 -> Collections -> Icons.